On the 22nd June 2017, the official launch of second edition of the open science forum for Latin America and the Caribbean: CILAC 2018 took place at the Miraflores Locks of the Panama Canal Visitor Centre and counted on over 100 guests including a number of key local partnering institutions as well as from other countries from throughout the ibero-american region, including Argentina and Spain. The event also counted on over 20 news and media outlets who covered the event. Welcome remarks were made by the Vice-President of the Panama Canal Authority, Mr Oscar Vallerino, followed by speeches by National Director of Innovation of the National Secretariat for Science, Technology and Innovation of the Republic of Panama (SENACYT), Mr Victor Sánchez Urrutia and special guest, UNESCO’s Assistant Director-General for Natural Sciences, Ms Flavia Schlegel.  The City of Panama will host CILAC from the 22nd – 24th October 2018. The forum is free for all and daily public activities inviting citizens to connect with science, technology and innovation, through culture and arts, including theatre, dance, informal talks, performances and demonstration will take place throughout the city.